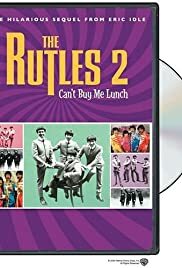 I'm a huge Rutles fan and I'd never even heard of this until ten minutes ago. Considering how little information is available about it online (aside from the usual synopses and cast lists), it looks like very few others had seen it either. It's curious to note that apparently the official press release lists Eric Idle as one of the founding members of the Bonzo Dog Band -- I hope everyone knows that's not correct. I also see that the DVD comes with an "Never-before-seen alternate ending" -- interesting, considering how few people have seen the regular ending. Now, to stretch this thing out to the requisite ten lines, here are some vegetables that I like: Oops. Out of space. Maybe next time.